Get a group together and enjoy exclusivity of the whole house. Perfect for family or group get-togethers, as a pre wedding venue or for small team bonding conferences. 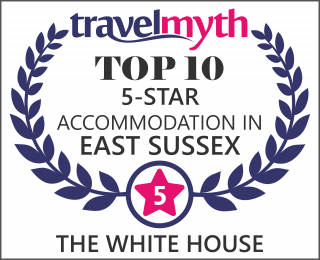 Sleeps a maximum 8 adults in four double bedrooms (NB The Blue room can also be offered on a twin room basis). Rates from £500 per night. Please call us direct on 01424 719610 to discuss your requirements - we may be able to provide a chef to cater lunch and evening meals at the house for you and your party – but this must be booked in advance.